Theresa May's Government is in deep crisis after David Davis dramatically resigned as Brexit Secretary on Sunday night. In a resignation letter sent to May late Sunday night United Kingdom time, Brexit Minister David Davis said it was looking "less and less likely" that the Conservative-led government would be able to deliver on its "manifesto commitment to leave the Customs Union and the Single Market". Two senior sources confirmed Mr Davis's departure from the cabinet. The official portrait of David Davis. A Brexiteer hailed his resignation as a "principled and courageous decision". The midnight resignation came as a shock to British politics, exposing May to challenge by Conservative Party members outraged over what they see as her plan to secure a "soft Brexit" that keeps Britain tied to many rules and regulations of the European Union after it leaves the bloc next year. "The general direction of policy will leave us in at best a weak negotiating position and possible an inescapable one", he wrote, adding: "The inevitable outcome of the proposed policies will be to make the supposed control by Parliament illusory rather than real". He was well acquainted with the Brussels beat: he was Europe minister between 1994 and 1997 as the European issue tore apart then Conservative prime minister John Major's government. Former MP for Peterborough Stewart Jackson has left his role as a special adviser in the Government following the surprise resignation of the Brexit Secretary. An opinion poll found that 35 per cent believe the Brexit compromise agreed by the Cabinet is the best deal Britain will get from the European Union, while 38 per cent dismissed it as a sell-out. In his letter to the Prime Minister, Davis said: "Whether it is the progressive dilution of what I thought was a firm Chequers agreement In February on right to diverge, or the unnecessary delays of the start of the white paper, or the presentation of a backstop proposal that omitted the strict conditions that I requested and believed that we had agreed, the general direction of policy will leave us in at best a weak negotiating position, and possibly an inescapable one". Their stand may embolden pro-Brexit lawmakers to make a move against her. His deputy Steve Baker reportedly resigned with him. The prime minister will have a crunch meeting with members of her Tory party to discuss her plan in Parliament on Monday evening. Some Brexit backers cheered Davis on. It seemed like the most damaging line to emerge from the summit was Foreign Secretary Boris Johnson's description of the plans as a "turd". 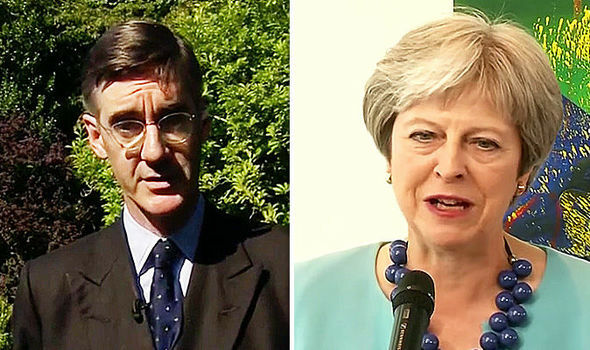 Conservative lawmaker Jacob Rees-Mogg, a leader of the party's "hard Brexit" faction, compared May's plan to an egg so softly boiled that it "isn't boiled at all". Davis told UK Prime Minister Theresa May that it is looking "less and less likely" that the government will be able to orchestrate a full departure from the EU. The environment secretary, a leading Brexiter, said the deal the prime minister achieved at Chequers was not everything he had hoped for but insisted the cabinet was behind it and collective responsibility would prevail. South Korean newspaper Chosun Ilbo said that Trump had even raised the subject of the epithet in their meeting in Singapore . But North Korea declared its nuclear weapons program was "complete" on New Year's Day and did not require any more testing. The 38-year-old, seeded ninth, was a set and a break down but battled back to square the match, only to lose 8-6 in the decider. Seven-times champion Williams rallied from 5-3 down in the second set to put away France's Kristina Mladenovic 7-5 7-6 (7-2).